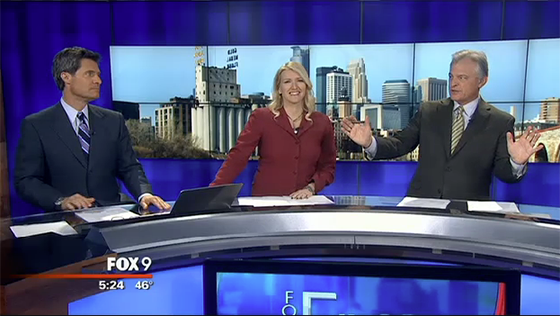 KMSP-TV, Fox 9 Minneapolis-Saint Paul, debuted a new set this week from Devlin Design Group. The new set features a large monitor array, color changing technology and a large interview couch. The station has posted a time-lapse of the change on its website.